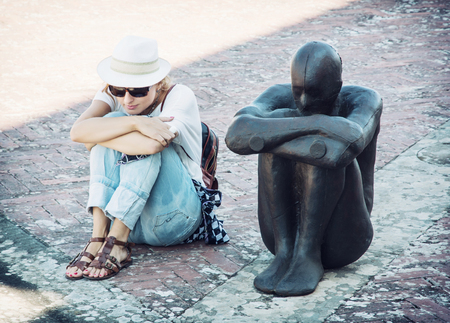 Young woman sits and imitates the pose of the iron statue. Forte di Belvedere, Florence, Italy. Description: Young woman sits and imitates the pose of the iron statue. Forte di Belvedere, Florence, Italy.